The creation of the University of the Highlands & Islands (UHI) means that Perth has gained the status of being a university city. 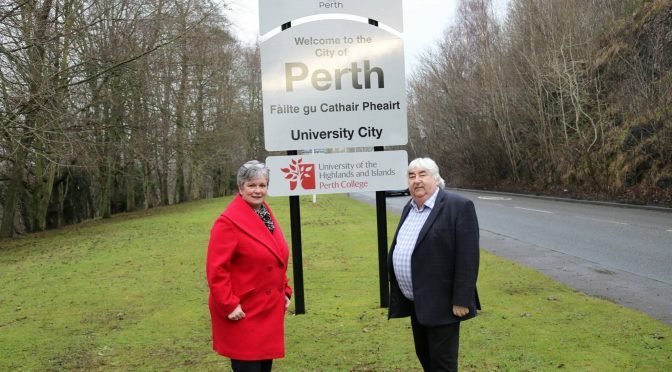 To celebrate this, Perth & Kinross Council have installed new boundary signs on the roads leading into Perth welcoming people to the university city. UHI is a unique institution which offers integrated further and higher education provision on multiple sites including Perth College, which is largest of the institution’s academic partners and by 2017 there were approximately 3000 undergraduates studying in Perth. 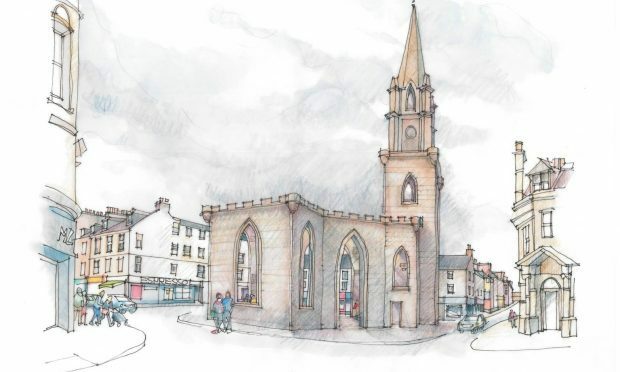 In partnership with Perth College UHI the local authority has been working to accelerate growth and development in Perth to enhance its economic, social and cultural impact, to make it an exciting and cosmopolitan city. The redundant St John’s Primary school building in the city’s Stormont Street is being transformed into a hub of creativity and productivity. 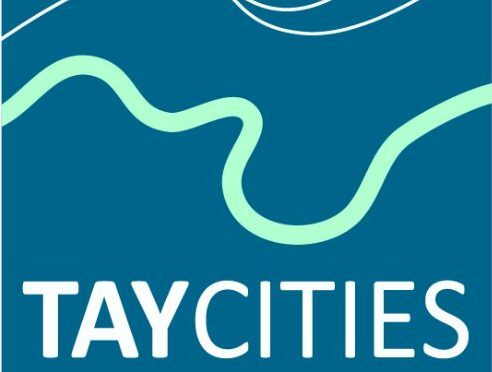 Perth College UHI is a key stakeholder in the ‘Creative Exchange’ which is aimed at being a place that connects creative practitioners and entrepreneurs and inspires new ideas and lets creative thinking emerge. 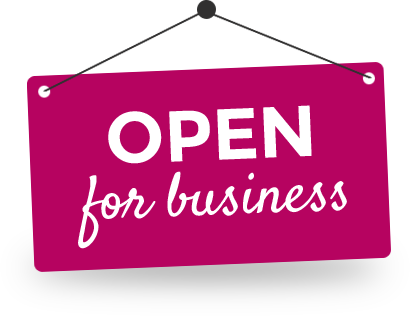 It’s hoped the hub will become a home to workshops, studios and flexible business spaces and will provide a supporting environment to allow ideas to be nurtured, particularly in creative industries, technology and digital media. Perth & Kinross Council is also supporting Perth College UHI in achieving its aims which include: Extending its education offer in areas including sustainable resource management, advanced engineering, applied health and the creative industries; Becoming a more visible and influential presence in the city centre and encouraging other universities and research centres to establish a presence in Perth through satellite learning centres, commercialisation units and other facilities.